The Hotel Industry is one of the fastest growing industries and one of the most versatile industries. We are all fans of this industry and this website itself is dedicated to the hospitality industry. However, there are a few things we hate about the hotel industry and we would desperately want to change it. In one of the other articles, we have discussed the 6 things we love about the hotel industry. Here in this post, we have decided to go down south by addressing a few disadvantages of the hotel industry. There are several pros and cons of the hotel industry like most of the other industries. While the hotel industry has more pros than cons, we have listed here 5 big disadvantages in the hotel industry. Things, however, are changing and we desperately want this to change even at a faster pace. It is not uncommon within the hotel industry to hear of long working hours, multiple shifts and working weekend. Demanding work hours and poor work-life balance is said to be the biggest disadvantage of this industry. 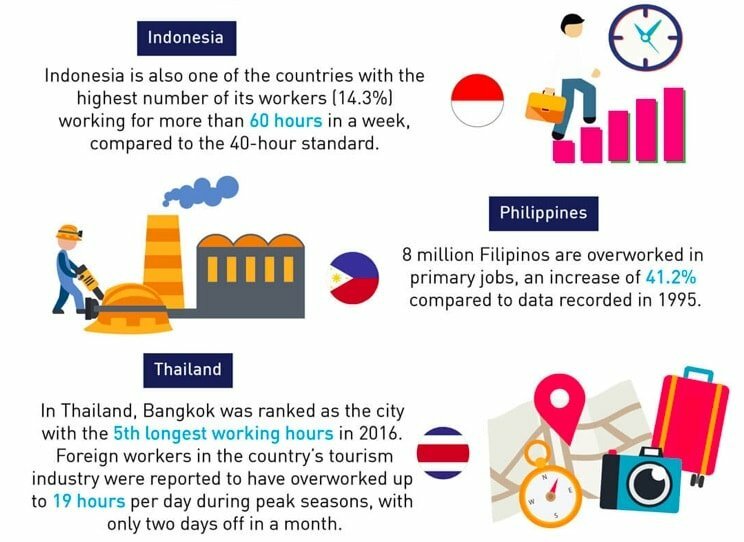 According to JobStreet.com the situation is worse in Asian countries where at times Hotel industry professionals have to worm up to 18 hours a day during the peak season. The situation is a lot better in European Countries and North America but compared to other industries, even the hoteliers in these countries complain often about tough working conditions. A lot of hotel industry professionals work over the weekend when everyone else is having a great time with family and friends. Yes, that’s what hospitality service is all about but even these professional deserve some break. We suggest the below to the thinkers and leaders of the hotel industry to improve this. A five day work week across the industry all around the globe. Happier staff means better service that would definitely reflect in terms of long-term benefits. Extra pay for weekend work and rotational weekend off. Treating staff as internal customers and on par with external customers. A healthy workplace is a need of the hour for the hotel industry. Check out these Funny Images of the Hotel Industry that we have compiled to explain the disadvantages of the hotel industry with a put of humour. The Hotel Industry is plagued by too much of micromanagement. This is because of the old school Bureaucratic hierarchy in hotels. “I order you Obey” is the concept utilised in most of the hotels. The Hotel Manager pressurising Directors who in turn provide pressure to the managers and supervisors. However, the immense stress is passed on to the workers which constitute a majority of the workforce in hotels. This leads to a high attrition rate in the hotel industry and a less than satisfied workforce. One of the major tricks to attract and retain best hotel industry professionals is to decrease micromanagement and have a purpose and ownership added to job roles. 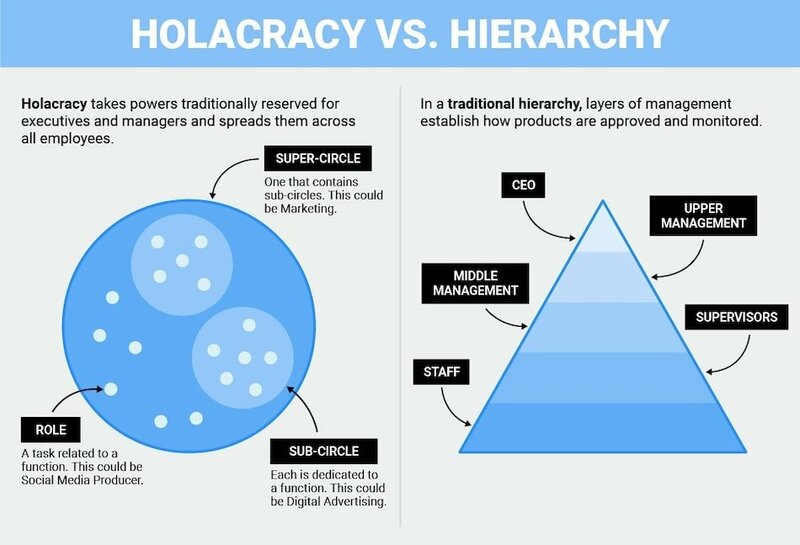 We suggest a move towards a slow death of the hierarchy culture of the hotel industry by the introduction of flat organisational structure or something like Holacracy as described by the below image of Medium. Yes, the hotel industry professionals are primed to treat 5-star hotel and people working over there in a separate league that 1/2 or even 3-star hotels. As if one is the king and others like pawns. Customers look at features, services and cost and go for a 3 star or a 4 star or a 5 star as per their convenience. When customers are not rigid in selection (barring a small star conscious section), why should the hotel industry carry a bias? We are all aware of the tussle between apartment-sharing websites like Airbnb vs the Hotel industry. This divide has to diminish and disappear to give the competitors a tough fight. Let’s all forget inequality and hire and invite people based on talent and preferences without any biases. This is another thing we hate about the hotel industry. At times guest becomes too unruly with their expectations. You would hear of the most bizarre complaints in the hotel industry. Just for a few freebies or refund at times customers threaten hoteliers by leaving a bad review on travel websites or by spreading a bad name. 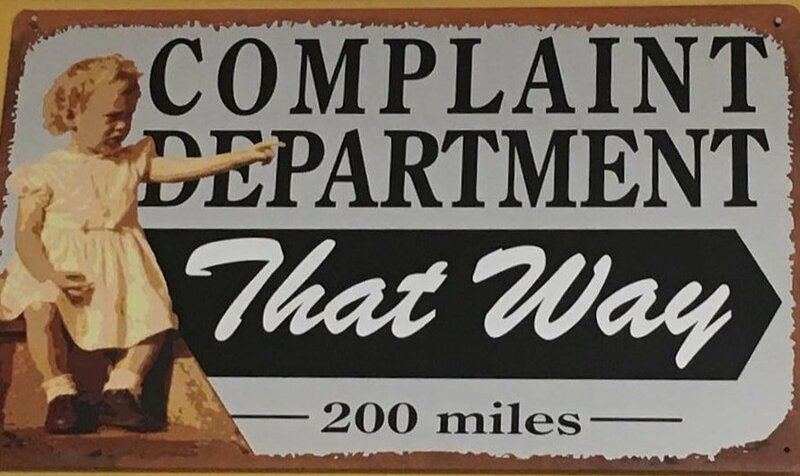 While at times the complaints are genuine, the unexpected and fake complaints outnumber them. Yes, the customers are not always right. We need to find robust measured to handle guest complaints in an effective way to deal with the genuine complaints. These should not be mean to blackmail hotel or its staff for some discounts or free meals. This again is one of the disadvantages of the hotel industry. Forecasting of expenses and revenues is so very difficult in the hotel industry due to the seasonality issue. The business is seasonal and depends on too many factors like weather, socio-political situations, economy etc. It becomes a torrid task to forecast staffing needs, expenses and revenues making life tough for all the hoteliers. Concepts like Timeshare, retail outlets and concept/themed food outlets can help hotels fight seasonality. But, the onus is on the respective governments and regional travel authorities to help the hotel industry fight the issue of seasonality. Devising better policies by understanding seasonality and having a more integrated tourism industry can help fight this issue in the future. Here you go. 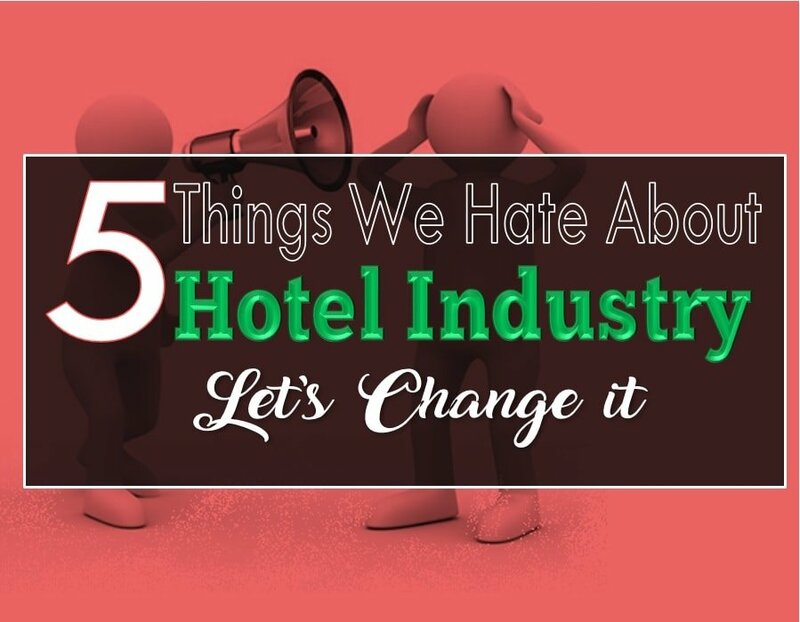 We have mentioned 5 things we hate about the hotel industry and would like to change. The Hotel industry has always been a front-runner in embracing technology and change. Lots of leaders and industry experts are taking initiatives to ensure that the hotel industry stays ahead in the competition curve. The Hotel Industry is extremely diverse and thus any change takes time to propagate uniformly across the industry. Change is said to be the only constant and this is what we expect from the hotel industry. To change! !